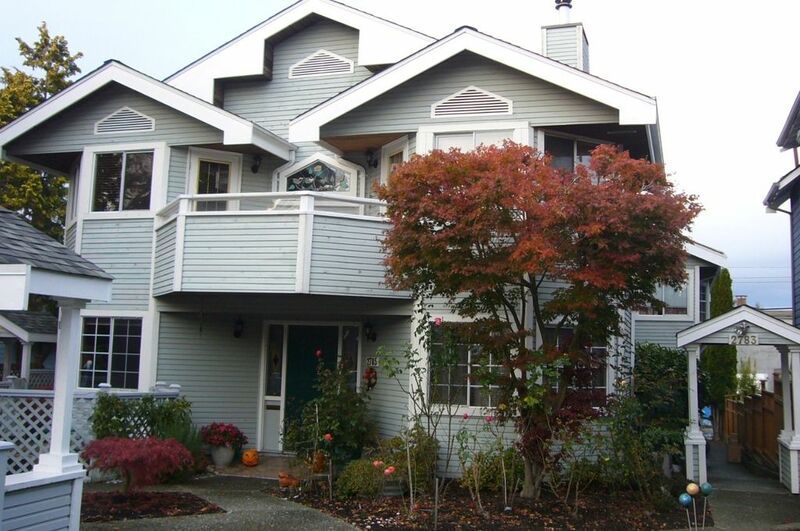 Fantastic Kits Townhome - This spacious 3 bedroom, 2 1/2 bath townhome has been recently renovated with new kitchen, carpets and painted throughout. Featuring vaulted ceilings in living room, cozy wood-burning fireplace and huge walk-instorage/laundry room. The 2nd and 3rd floor bedrooms enjoy a beautiful mountain view and 3rd floor bedroom has large sundeck. This 3 unit complex is conveniently located near trendy coffee shops, restaurants, shopping and a short walk to the beach. BONUS: 2 parking stalls. A pleasure to show.